As lawyers on the shore of Lake Erie, Pennsylvania, our law firm often receives calls concerning boat accidents, boating injuries, and other maritime collisions. These incidents may involve a crash between two boats or even a boat striking a swimmer in the water. These boating accidents frequently involve passengers on a jet ski or a similar recreational device. 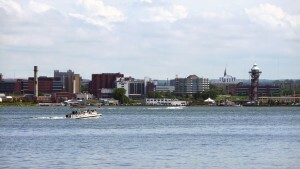 Our firm is located in downtown Erie near Lake Erie and has been representing boat accident victims since 1985. While there is no center line or other highway markings on the water, there are still “rules of the road.” The operator of a boat, jet ski, or other vessel that violates these rules can be held liable for the injuries they cause. Even if operating within the rules, there may be other negligent conduct that lead to the injuries. 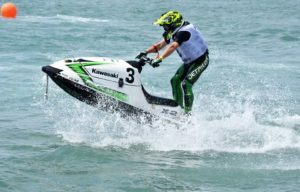 A Jet Ski, also known a Sea-Doo or a WaveRunner, is a personal watercraft that is both incredibly fun and incredibly dangerous. In addition to boating accidents, our Lake Erie lawyers also handle Jet Ski accidents for both drivers and passengers. With their high speeds and quick controls, other boats often don’t see and collide with jet skis, leaving the driver and passenger badly injured. 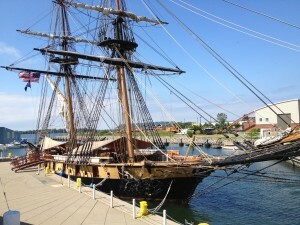 While there may be some physical evidence, such as the damage to the boats, obviously there will be no skid marks; some of the evidence may lie at the bottom of Lake Erie or Presque Isle Bay. One of the most important aspects of evaluating a boating injury is to hire a lawyer soon after the accident such that we can take statements from witnesses as soon as possible while the facts are fresh in their mind. Collisions involving a boat or boats often result in serious injuries. Due to the need to contact witnesses promptly, obtaining a law firm is one of the most important things a person injured by a boat can do. Don’t wait until it’s too late or until all the evidence is gone. At Bernard Stuczynski Barnett & Lager we offer a free evaluation of your case and only work on a contingency basis: that is, we don’t charge any fee unless we get you a recovery. Contact one of our attorneys today for a free consultation at 814-452-6232.